All Saints Cathedral is an Anglican Cathedral. Globally the Anglican Communion is a worldwide family of Christian Churches with some 70 million members in 164 countries. It was created during the reformation in England where it was called the Church of England; and as it spread to other countries, it came to be referred to as either the Anglican or the Episcopal Church. Anglicans around the planet share a common liturgical and theological tradition, catholic and reformed, which is expressed locally in a wide variety of languages and customs. Each national or regional church within the Communion is autonomous, but the Archbishop of Canterbury is regarded as its spiritual head and a chief sign of its unity. Within the Anglican Communion is the Anglican Church of Canada, consisting of over 750,000 members on parish rolls . The first Anglicans in Canada were 16th century English explorers led by Martin Frobisher and his chaplain, the Rev. Robert Wolfall. The church did not become established here, however, until the consecration of Charles Inglis as bishop of Nova Scotia in 1787. He had responsibility for colonists and missionary work as far west as Niagara. The Canadian church developed and grew with the country, becoming administratively independent of the Church of England even as Canada became a self governing dominion within the Commonwealth. The head of the Anglican Church of Canada is the Primate – the presiding bishop of the national church. The current Primate of the Anglican Church of Canada is Archbishop Fred Hiltz. The 39 Articles of Religion were a foundational document for the Church of England during the Reformation. Current work at General Synod is shaped by the Five Marks of Mission, used widely throughout the Anglican Communion. 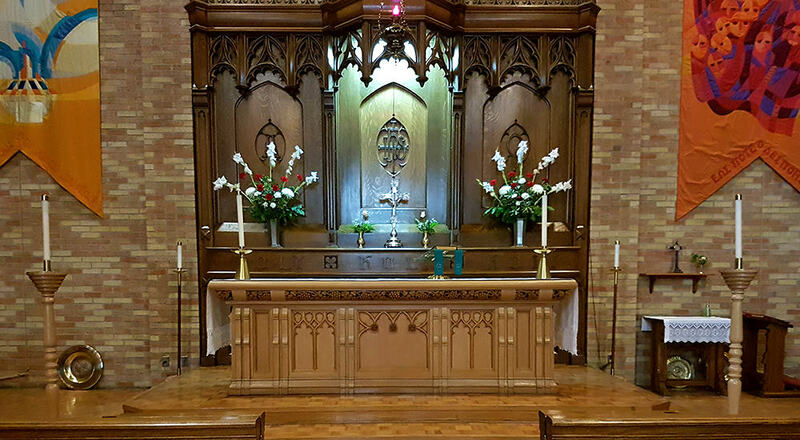 Locally, All Saints’ Cathedral is the cathedral church for the Diocese of Edmonton, one of 30 dioceses within the Anglican Church of Canada and established in 1913. There are about 13,000 persons on membership rolls for the nearly 60 parishes within this Diocese stretching roughly from Jasper to Vermillion and from Westlock in the north to Ponoka in the south. The current bishop is the Rt. Rev. Dr. Jane Alexander. The Gospel isn’t proclaimed from a loud speaker or a billboard but through the loving relationships we build with the people around us and the service we offer to our local and global communities. The Gospel isn’t just a word, it’s a word made flesh, first in Jesus the Christ and by the grace of God, in those who have come to follow him. Becoming a disciple means doing that work of following Jesus. Learning from his life, teaching, sacrifice and love through the witness of scripture, our Anglican tradition and the work of the Holy Spirit. Jesus proclaimed that the Kingdom of God has come near and in his presence, where people were healed and fed and given new life, God’s Kingdom truly was manifest. We seek to further the Kingdom by being communities where Jesus’ own ministry of healing, reconciliation and new life is lived out in our worship, service, and partnerships with other churches and groups locally and around the world.